We always try our best to serve our customers. That's the reason why we highly recommend our customers to read the product features first before ordering leather jackets and other outfits. Another important factor is sizing. Kindly read our size chart page and read the instructions that are provided on the page. 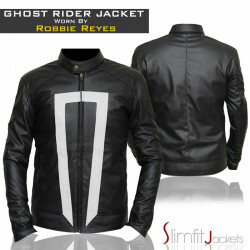 However after placing an order Slim Fit Jackets sends you size confirmation email through by which you can double check your measurements by following those instructions. 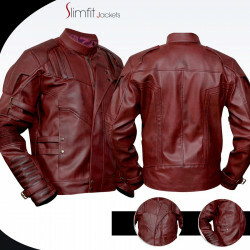 "I got supernatural season 7 jacket now looking forward to buy another one hope you provide me some extra discount or coupons with rapid shipping along"
"My wife loves it, but it's a little bit too tight in the chest area (even though she bought Large). As others say, order a bigger size." 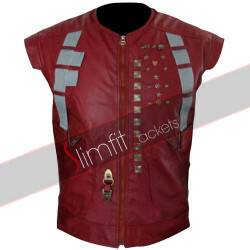 "this starlord vest is extremely stylish and stunning and not mention very comfortable. It adds glamor to whatever outfits I wear. 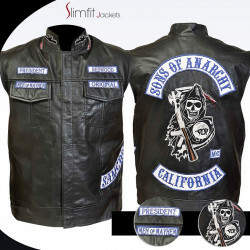 This has been the be"
"I ordered the leather jacket last week and had a prompt delivery the next day. I have a friend’s party at the next weekend and will wear this fabulo"